Busted Tees: $10 Tees for 12 Hours! - Blog @ That Awesome Shirt! Busted Tees: $10 Tees for 12 Hours! 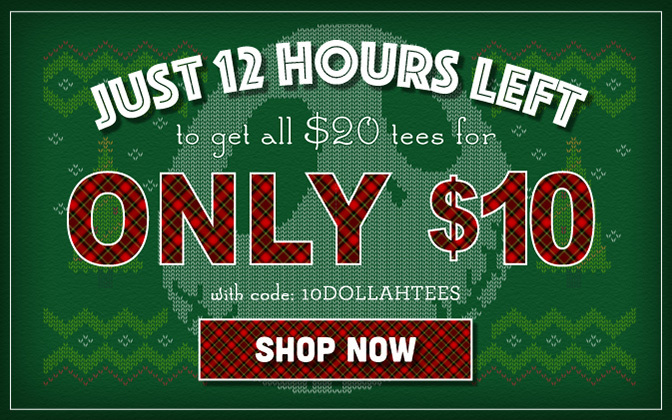 Just 12 hours left to get all $20 tees for only $10 !